- Want better performance? Change your springs! 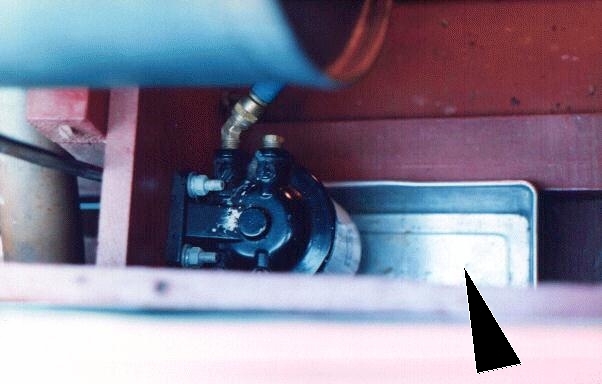 Don't be a drip, keep your fuel out of the bilge - Cake pans are not just for cake! I put these nifty little pans under my carburetor and under the fuel filter. 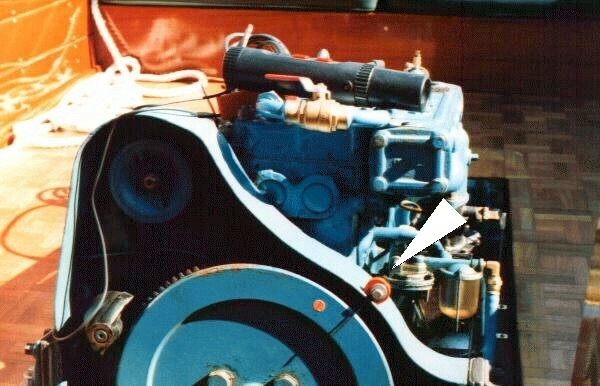 The benefits are immediate and obvious - no runs, drips or errors from the carburetor and nary a drop of gas into the bilge when you change the fuel filter. 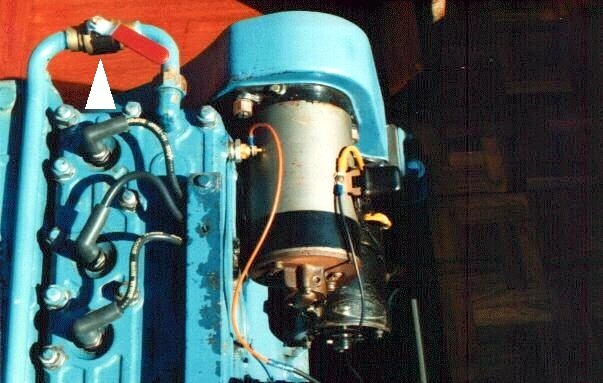 Two small brass screws keep the pan in place under the carb. 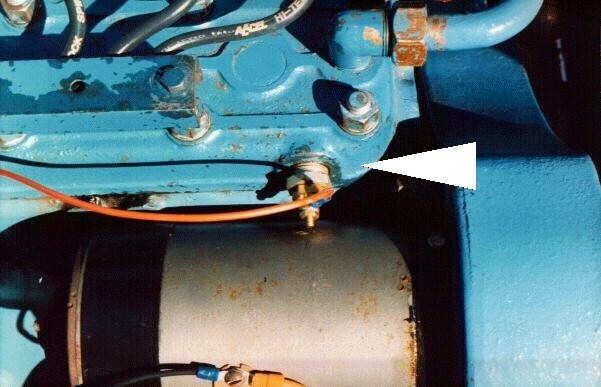 Gravity is sufficient to keep the pan in place under the fuel filter. 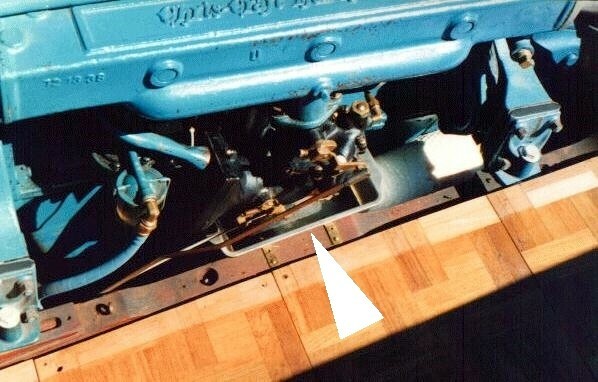 A poor man's timing mark - Why Chris Smith didn't put a timing mark on this engine I will never know. So, I tuned the engine by ear, put an orange sticky dot on the flywheel, "found" it with my voltage independent timing light, put a small piece of bailing wire on a horseshoe magnet and aligned it with the "sweet" spot. 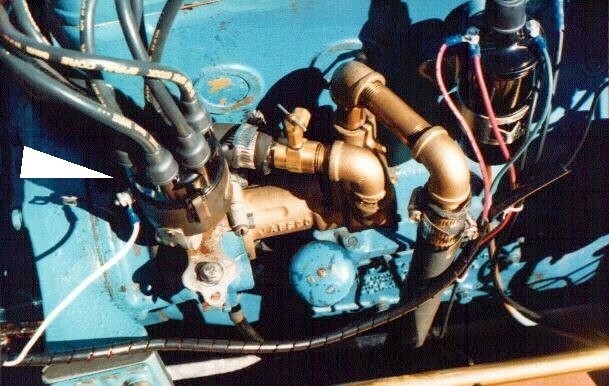 Cooling water flow control - I don't have a thermostat so I decided that I could keep the engine a wee bit warmer by restricting the cooling water flow as it leaves the block with a 1/4 turn ball valve. Don't go over 15 psi at 2200 rpm or your head gasket might leak. You can get a ball valve from the hardware store. A new jacket water temperature gauge for EWE - I got tired of removing the capillary tube from the bilge to fix a leak that wouldn't stay fixed so I replaced the capillary tube temperature gauge with an electric sensor & gauge. 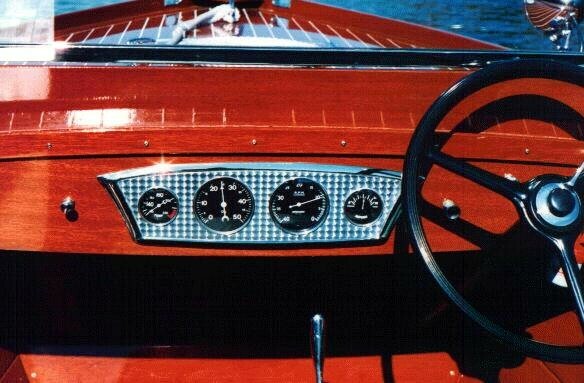 The sensor and gauge are from NAPA auto. I used the capillary tube as the wire to the dash. After removing the mechanical guts from the gauge, I put the guts from the electric gauge in the old housing and used the original face and pointer. I calibrated the gauge with a hot cup of water, a 9 volt radio battery and an electric thermometer. It works! Smooth running with a resilient coupling - DO NOT THINK FOR ONE MINUTE THAT THIS IS A REPLACEMENT FOR PROPER ENGINE ALIGNMENT. Align your engine & drive coupling to +/- .001", install a Drivesaver and enjoy a smooth quiet ride. Want better performance - change your springs! - What springs you ask? Those two little springs on the centrifugal advance buried deep within your distributor. After I replaced mine I witnessed the best performance of this boat that I have seen in 26 years. 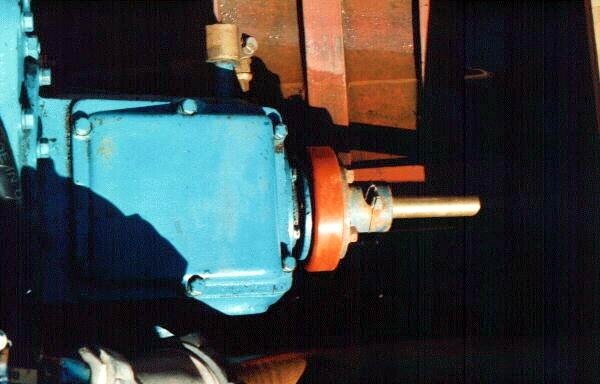 While you are in there, clean out the distributor, lubricate it and install new points.